Heeft u een vraag voor Eolia Fangzhou? 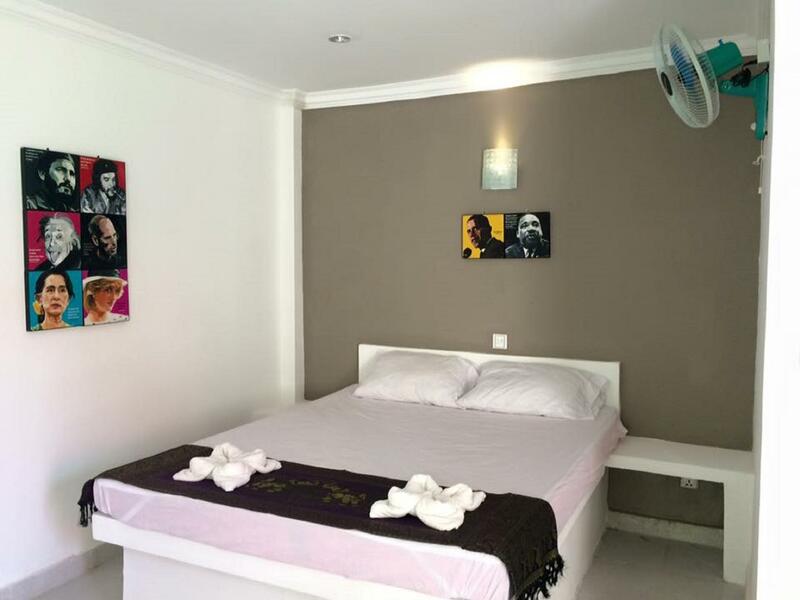 Eolia Beach Resort is gelegen in Otres Beach in Sihanoukville en een uitstekende keuze voor een ontspannen verblijf. Op slechts 7 km gelegen vanaf het stadscentrum en 17.4 km van het vliegveld, trekt dit 3-sterren hotel jaarlijks vele reizigers. Dankzij de praktische locatie liggen alle belangrijke trekpleisters in de buurt van het hotel. Het Eolia Beach Resort biedt een onberispelijke service en alle essentiële voorzieningen om reizigers een plezierig verblijf te bieden. Maak in het hotel gebruik van een selectie topklasse faciliteiten, zoals gratis wi-fi in alle kamers, dagelijkse schoonmaak, 24-uur receptie, wi-fi in openbare ruimtes, vervoer van/naar luchthaven. Het Eolia Beach Resort beschikt over 31 kamers, allemaal smaakvol ingericht voor optimaal comfort, met voorzieningen als plasma tv, internet (draadloos), privézwembad, draadloos internet (gratis), rookvrije kamers. De recreatieve faciliteiten van het hotel, inclusief zwembad (buiten), duiken, vissen, massage, biljart, zijn ontworpen voor maximale ontspanning en onthaasting. 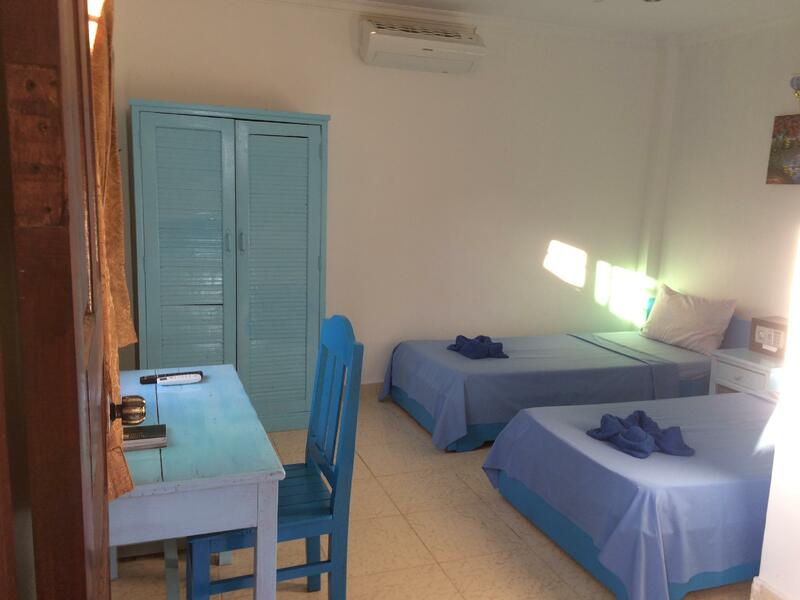 Wat de reden van uw bezoek aan Sihanoukville ook is, het Eolia Beach Resort is de perfecte keuze voor een enerverende vakantie. Too close to busy noisy road,staff poor,plenty of power cuts.shame as the bungalow is reasobly well kitted out. Not clean, staff very unprofessional and way too expensive! Great price for a villa basically on the beach in Otres. Lots of food options around. Nice clean small pool. 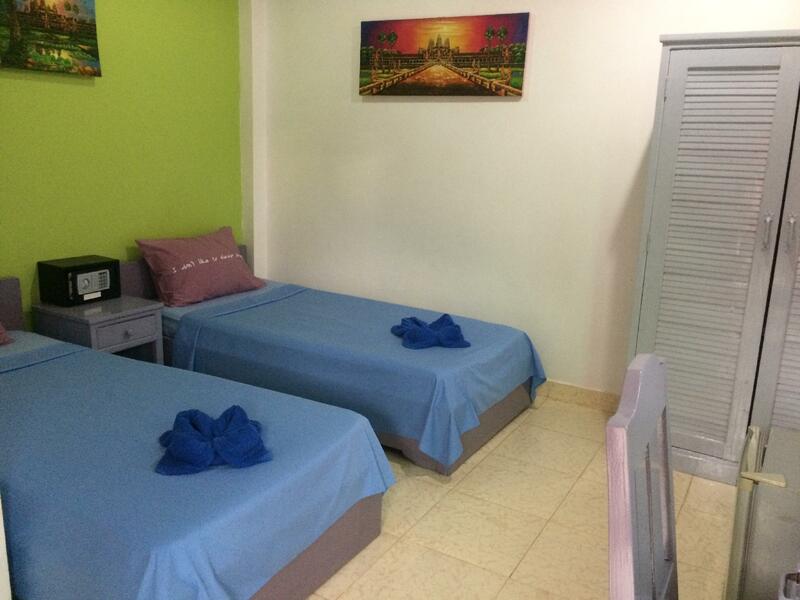 Rooms were clean, mostly warm shower, wifi only works in rooms near lobby, or lobby, air conditioning worked well. Staff were friendly and let us switch rooms when we found the first room's bathroom was smelly. Restaurant was nice. Pro's - swimming pool - air conditioned place near the beach Con's - too expensive for what you get (but all of Otres is more expensive that other Cambodian places) - the air-conditioning only kind of works. you set it for a temperature and it blows cold air but only for like 10 min. Then it thinks it's reached the cold temperature and turns off. we kept turning it back on every 10 minutes and got it really cold in our room, just kind of a pain to have to do so. but better than no air-conditioning at all. Good location. Friendly staff. Room clean. 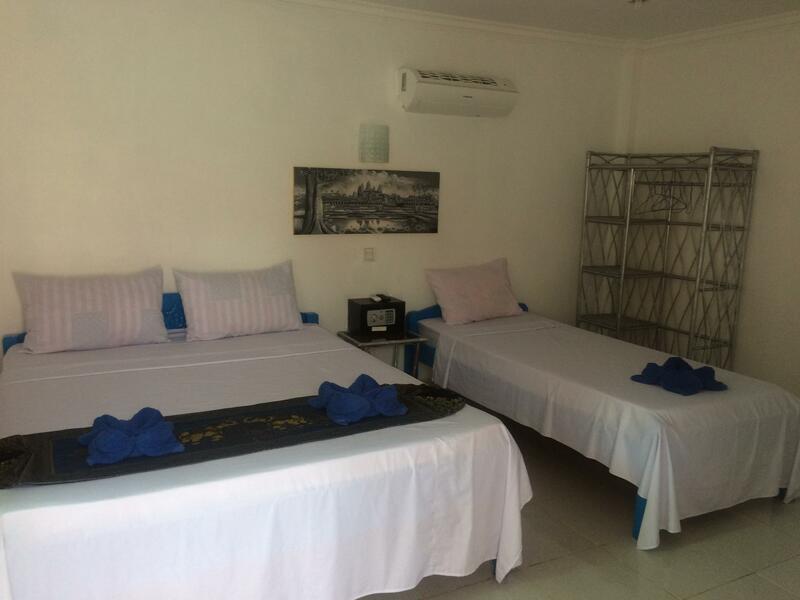 It's a nice hotel with great location and friendly staff with reasonable price.However, some equipment in the room seem not yet checked by staff properly unless customers found the mistake. Nevertheless, I get you rate 8/10. This hotel was fine, but was not at all as nice as the photos make it seem. It is also under so construction so there is no pool and we heard construction noise throughout the day. The staff wasn’t very helpful and our room was right next to the main road, so we had a lot of traffic noise. Facilities in the room worked fine, but were nothing special. Again, nothing terribly wrong but it was worth about ⅓ of what we paid for it. We stayed there like 5 Night and it was Great! The Team Is just lovely and always there when you Need a helping hand! It Is quiet but not far away from the Beach and the Restaurants! We had the Pool almost for ourselves! Btw the milkshakes are delicious! Would definitialy recommend and come back! No water during shower. Water pressure low. Always have call the staff to switch on the pump. Has a nice, small pool. Nothing stood out. Room tatty. Hole under the door, vent in room covered with debris & flies. No facilities - fridge, kettle, (no coffee etc.) no sheet. Had a TV. This property is well overpriced. Awful!! The street it is in is filthy/dusty & bumpy with rubbish everywhere. We stayed here a few nights during Chinese New Year and the location was great. Right across from the beach and walking distance to all ocean front restaurants. NOTE: this location is not ocean front. Unfortunately since it was the new year I feel as if we paid far too much for the room and amenities, no included breakfast and the room was mediocre. Our bathroom was SO stinky it smelled as if the sewer was coming up thru the floor. Our AC did not work well and was noisy as well as we had a hole in the roof so all of the cool air was escaping. Our fan was also broken when we arrived but they did fix it. The pool is a nice touch and we did use it when coming back from the beach, which was awesome. The staff was nice when we arrived but their attitudes soon changed when I asked if my husband had left our beach towels (that you have to put $5/towel deposit down for) at the bar, unfortunately it was a misunderstanding and the towels were hanging In our room but the ladies soon gave me a major attitude..lasting until we checked out. Overall, I wouldn’t pay more than $15-20 per night for this place. These are decent rooms, not beach front but the beach is just a 10 second walk across the road. The price was quite high but it was Chinese New Year. I expect this place would be good value for money at other times of the year. decent bungalow. kinda soft bed. rambunctious checkin staff. bungalow had lingering foot odor not from my friend staying with me. cats were exceptionally lazy, less friendly than expected. watch out for angry korean lady. Paid up front for three nights. Was unhappy with the room, the service, the bed was terrible and there where no blankets. The front staff was not helpful, everything we asked for they where out of. We left early the next morning, staff told us they could not refund anything even though they rented the room by noon. I am very unhappy with the resort and Agoda for recommending it! Cost us $30. 00 a night, lost $60.00. Much better options available. The only up side were the banana pancakes. We stayed in two delux bungalows and had no complaints. The air con & hot water worked well and the staff were very friendly. The bungalow was clean and there was a security box. The location for us was perfect as it was opposite Otris 1 beach being only a one minute walk from the restaurants on the beach.